Desks are very important for computer setups, with the “best one” not being a very clear cut answer. 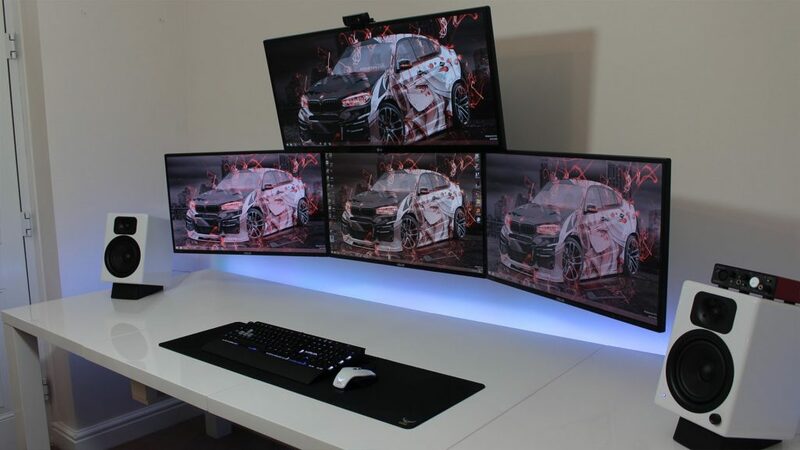 If you use multiple monitors, you need a desk with a lot of space for them. If you have other equipment, one with extra drawers and compartments would be the best choice. Read on for our list of best gaming desks for the money. A great budget desk that not only gets the job done but also looks great. Great for single monitor setups without any extra equipment. It also has some level of customizability to it, as you can remove the keyboard tray from the desk entirely. For an entry level desk, this one fits the bill perfectly. However, if you need more space, consider a different product as this one is fairly small. The desk also requires assembly, so some work needs to be done before it can be used. A great choice for budget-minded consumers that want some more space. It’s an L-shaped desk, so it has two sides for space. Your monitors can be on one side with space to work on the other. It’s also great for large multi-monitor setups that use more than two monitors. It also comes with a small bookshelf on the side, which is great for extra storage for books and papers. 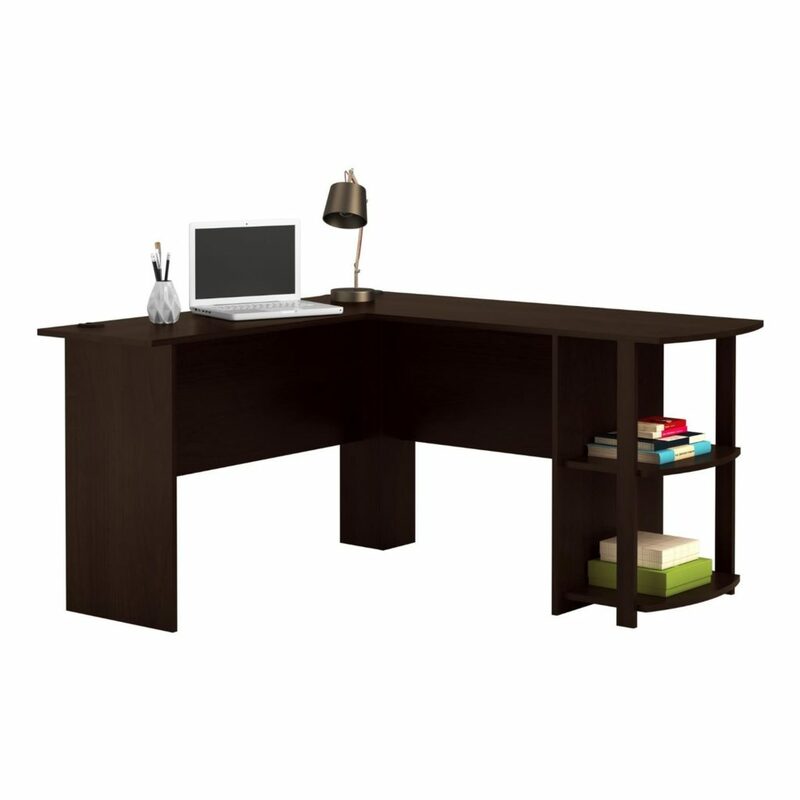 A solid desk with lots of space, this one’s a great buy for the average person that needs a place to work. While some enthusiasts will think that the table is a bit too narrow to keep all their items, it’s perfectly sufficient for most people. Another L-Shaped table that offers lots of space. With this one, you get a more minimal design that takes up less space. It’s a simple look consisting of a few support bars and flat surface. If you’re looking for something that looks sleek and doesn’t take up as much room as an actual piece of furniture, this is an excellent choice. It’s also beveled, meaning there’s no sharp edges on the table. This table is a bit different from the previous ones mentioned here. It’s got a lot of extra bells and whistles that make it stand out from the crowd. To start, it has a built in monitor stand that lets you elevate your TV or monitor from everything else on the table. It also has a headset holder, a controller rack, a phone charging rack, and even speaker holders on the side. All of these features come together to make a table that reduces a lot of clutter and clears your space. While it’s not a large table, if you’re only using one monitor the space should be enough. 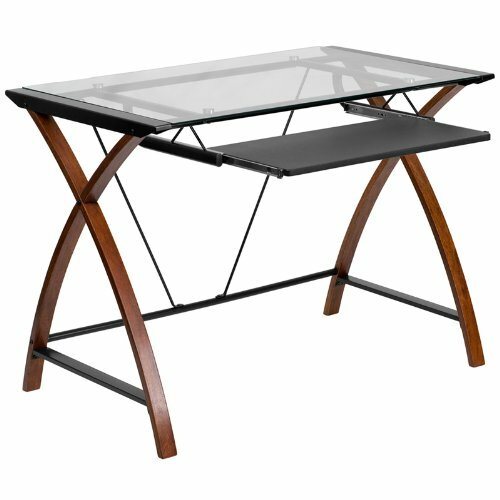 This table is excellent for someone with a small setup and is looking for a desk that isn’t too pricey. The bells and whistles that come with it just sweeten the deal. 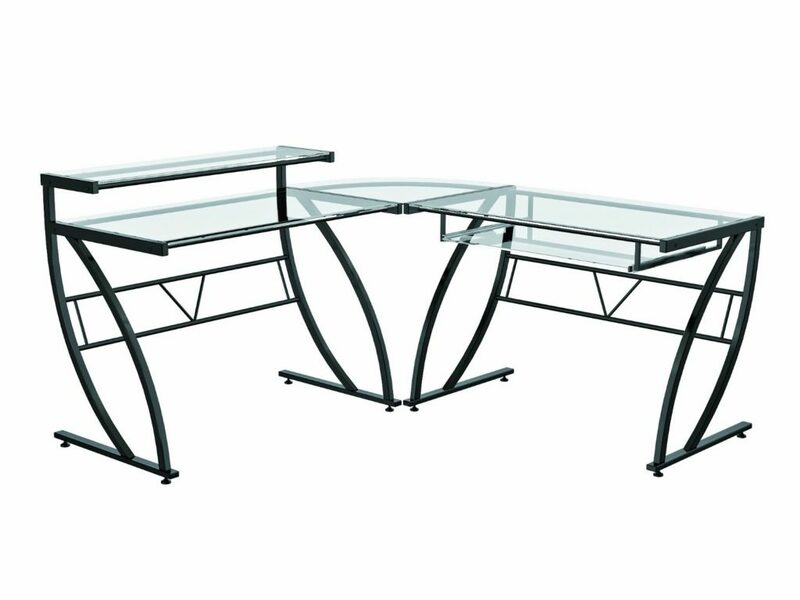 An all glass table that’s stylish and not too large, the Z-Line Belaire offers lots of room to spare. 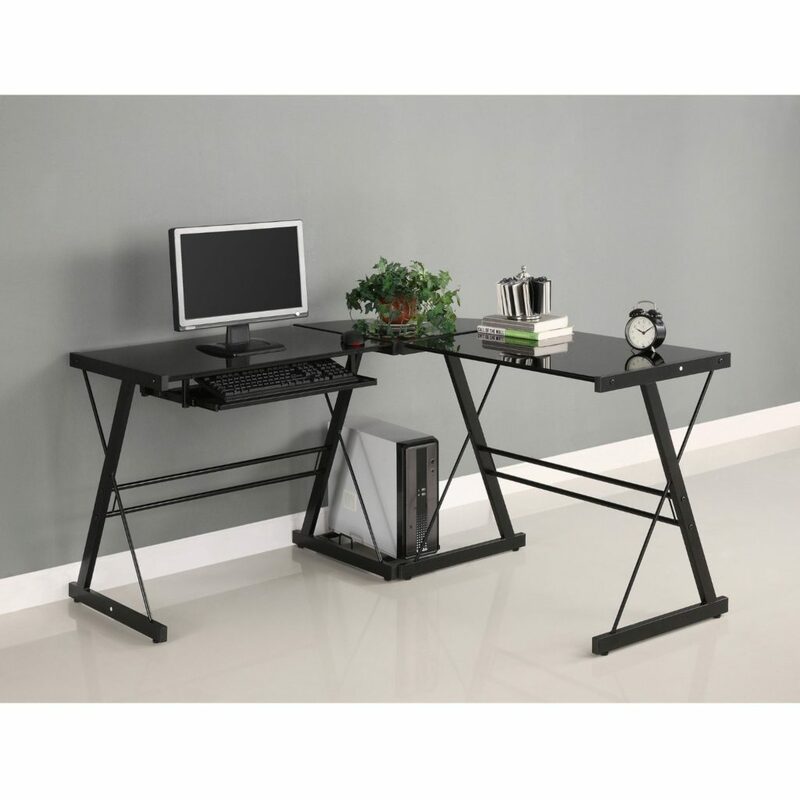 It offers a built in monitor stand as well as your usual keyboard tray. If you want to move either on one side or the other, you can. Both are entirely modular, letting you customize the table to move either of them to whichever side you want. 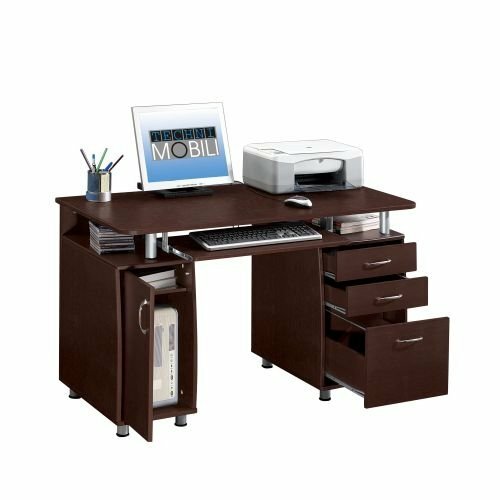 Offering great build quality, lots of space, and a certain level of customizability, this desk is a great choice. A more luxurious desk compared to the previous ones mentioned here, this desk is constructed with real wood. It’s a real piece of furniture that can easily blend in with the rest of your house. While it’s not really for gamers and more for office spaces, it’s still an excellent desk for any computer. It has a cabinet to store your desktop, numerous other cabinets to store your items, a keyboard tray, and of course lots of room on the surface. If you’re a fan of wooden desks, or just want something that looks extremely sharp, pick this one up. 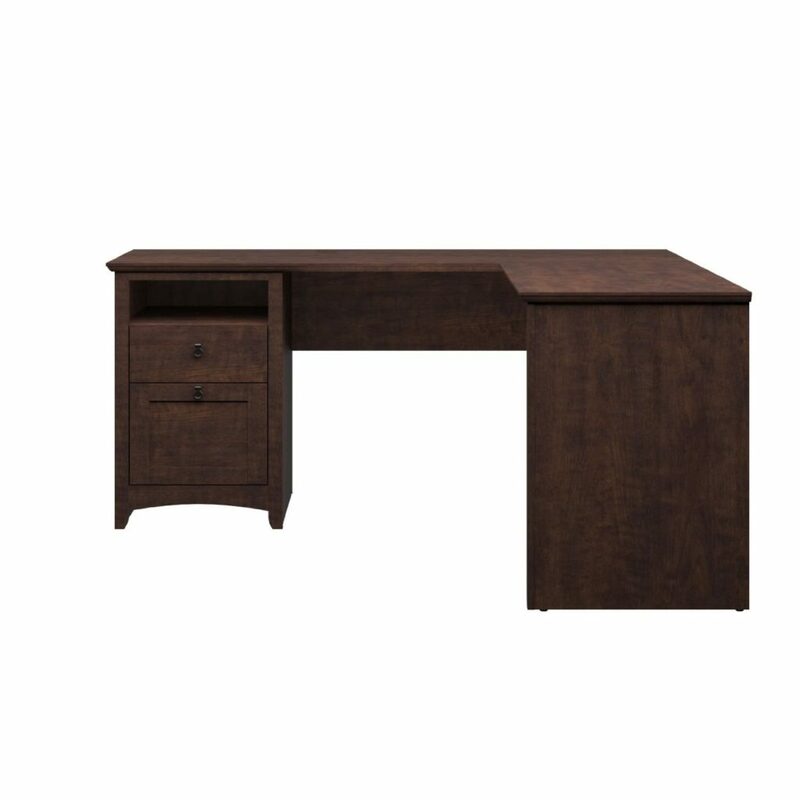 A massive desk perfect for an enthusiast with a multi monitor setup, the Cabot Collection 60” L-Desk has it all. It features three finishes: dark gray, reddish brown, and gray. All three of these colors look fantastic and high end, so the choice is yours. It offers compartments to store all of your essentials, such as a desktop, a router, papers, or books, just to name a few. It also has excellent cable management capabilities, as well as an integrated USB Hub. This is extremely handy for charging devices without adding extra clutter to your space. This desk is a fantastic choice for people looking at more expensive options. Keep in mind that this desk requires assembly which will take a few hours. 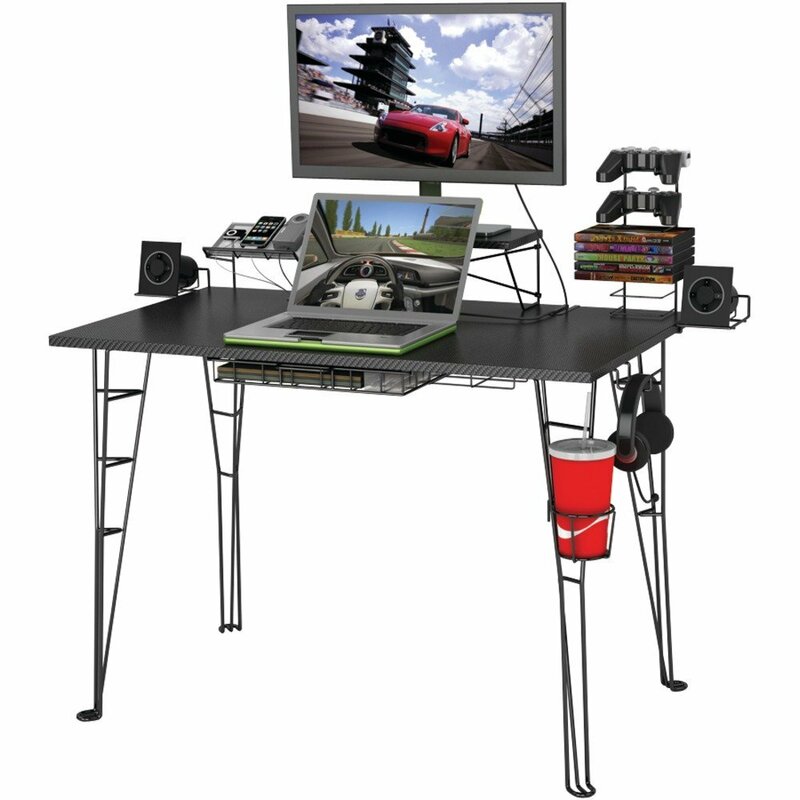 For the people that need an entire L-shape desk to support their multi monitor setups, this desk might be a good option. The difference between this one compared to the others is that the integrated monitor/TV stand is in the center of the desk, meaning that you can work around from the center. Some people many prefer this compared to having a computer on one side and everything else on the other. Of course, it also offers a spacious keyboard tray as well as a cabinet and for your desktop with small shelf on top of it. If simplicity is what you’re looking for, this might be a good fit for you. The price is a large jump from the previous desk, so I wouldn’t prefer this one to most people. It’s just another option for people looking at the most expensive options. So that’s our best computer/gaming desks of August 2016. 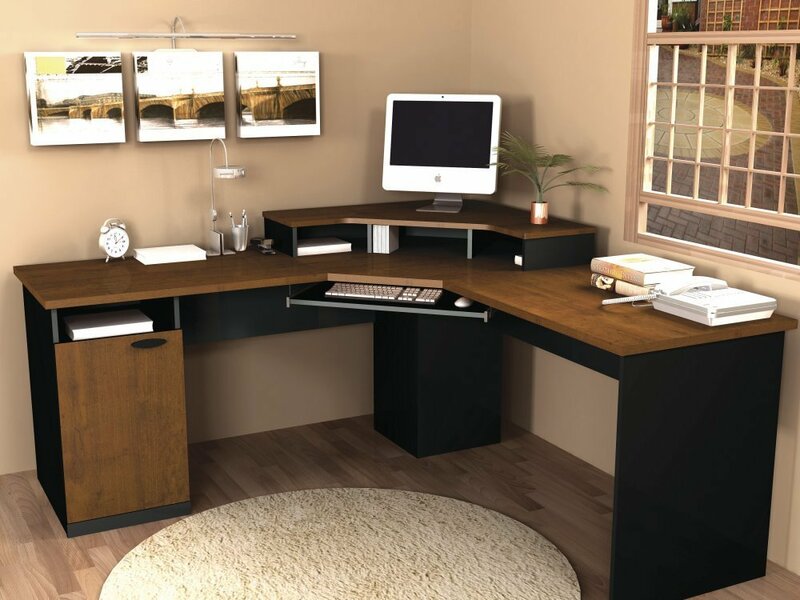 A good desk is critical for usability and comfort, so make sure you take a look at all the options available here and see which one is the best fit for you.